Welcome at the web hub of Wouter Van den Broeck, a researcher/designer/developer that operates at the intersection of science, design, communication, art and technology. Enjoy and don’t forget to follow @addith to stay up to date! Last month we went to Amsterdam to address a visualization challenge put forward by the European Network for the Radar Surveillance of Animal Movement (ENRAM). These good people are working towards an automated Europe-wide bird migration observation system using weather radars. There are plenty good reasons for doing so, not the least because birds tend to migrate at night, making them hard to observe visually. 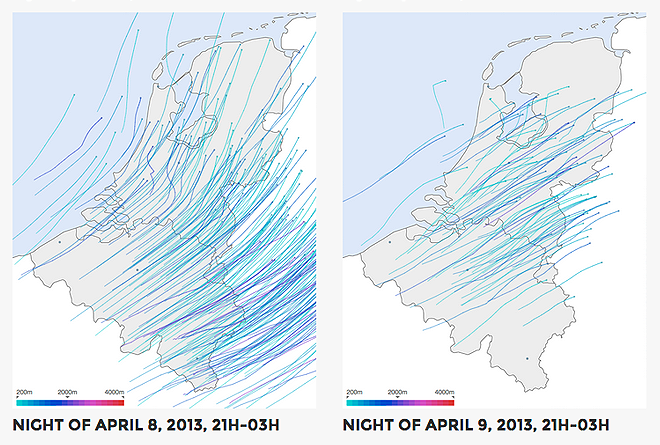 For this project we got to work with a dataset containing observations from 5 weather radars in Belgium and the Netherlands over a 7-day period. You can see both static, interactive and animated results on timamp.github.io. 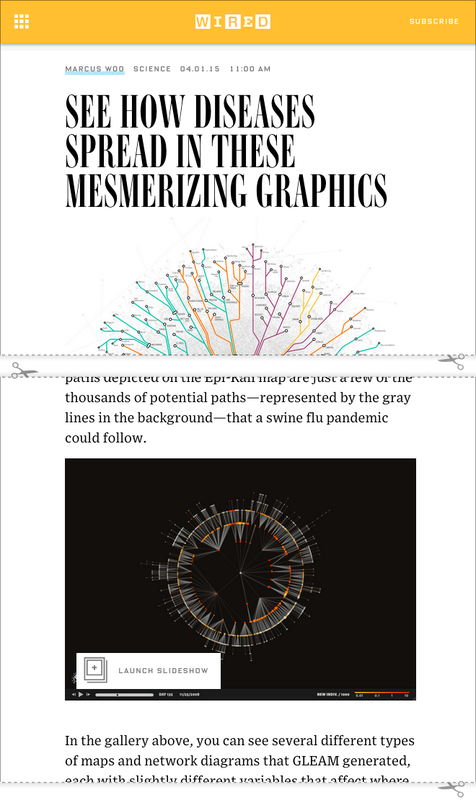 Yesterday WIRED posted an article featuring the GLEAMviz data visualizations I worked on at ISI Foundation, describing them as ‘mesmerizing’. Unfortunately the concerned graphics are incorrectly attributed. They are in fact the result of a collaborative effort by developers and scientists at both the ISI Foundation in Turin, Italy and the Mobs Lab at Northeastern University, USA, with the support of both European and American research funding agencies. To end on a positive note:Bill Gates seems to like our work, given his tweet and facebook post. The Epidemic Planet visualisation/installation is currently on show in Beautiful Science: Picturing Data, Inspiring Insight, an exhibition on scientific data visualisation. The show explores “how our understanding of ourselves and our planet has evolved alongside our ability to represent, graph and map the mass data of the time”. 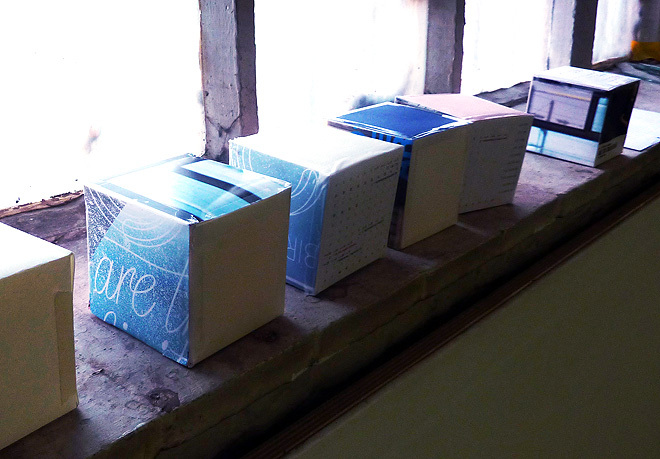 It runs from 20 February till 26 May 2014 at The British Library in London. For the new version shown in this exhibition, the GLEAMviz-team provided new scenarios with outbreaks in London and the Isles of Scilly, while I redesigned the interface and the cartographic renderings. Screenshots of the results are shown below. This control panel is provided on a touch-screen. It allows the visitors to select and compare different epidemic scenarios. This cartographic animation shows the evolution of the simulated scenarios. Finally checked out Beautiful Science #dataviz exhibit at @britishlibrary. short & sweet. especially liked epidemic simulator by @gleamviz. Andre Tartar, Economic Data Editor at Bloomberg News and New York Magazine, 30 March 2014. 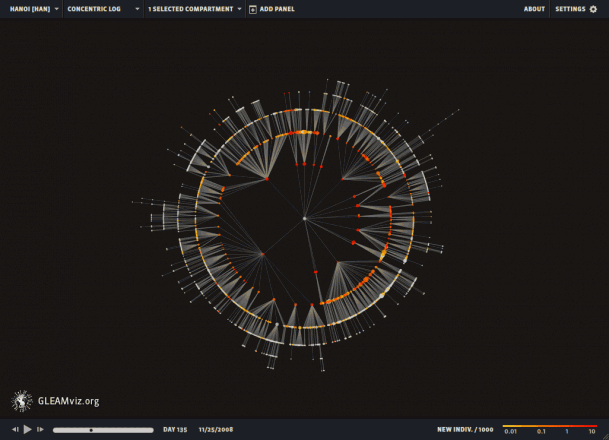 The interactive data visualizations I worked on for the GLEAMviz project are featured in a case study in this new book on information design (page 74-77). 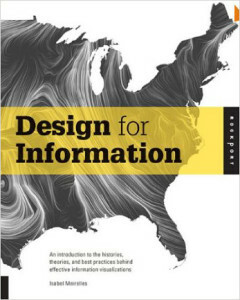 Design for Information: An Introduction to the Histories, Theories, and Best Practices Behind Effective Information Visualizations, by Isabel Meirelles. Sometimes situations evolve at warp speed. After one year of teaching, I became the program director of Multec, the new professional bachelor in multimedia and communication technology at the Erasmushogeschool Brussel. I replaced Frank Lanssens, who became the director of the new Design & Technology department that hosts the Multec program. In october I started teaching Creative Programming in the brand new Multec programme at the Erasmus University College in Brussels. This programme aims to train professional bachelors in multimedia and communication technologies. In this training we equally stress technology, creativity and design. 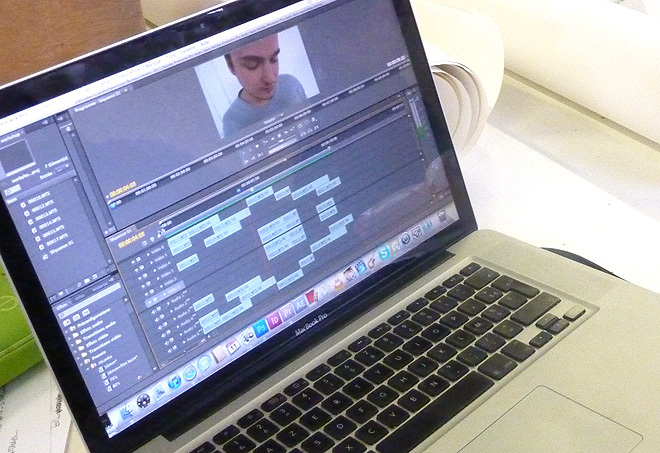 My first course introduces the students to the art of structured creative programming in the Processing environment. The workshop “Investigating the Language of Network Representations” at the École de Recherche Graphique in Brussels is well under way and the results are shaping up great. These are some pictures of the “work(shop) in progress”. The Flash Fortress Development Kit and Demo Application (2000-2001). 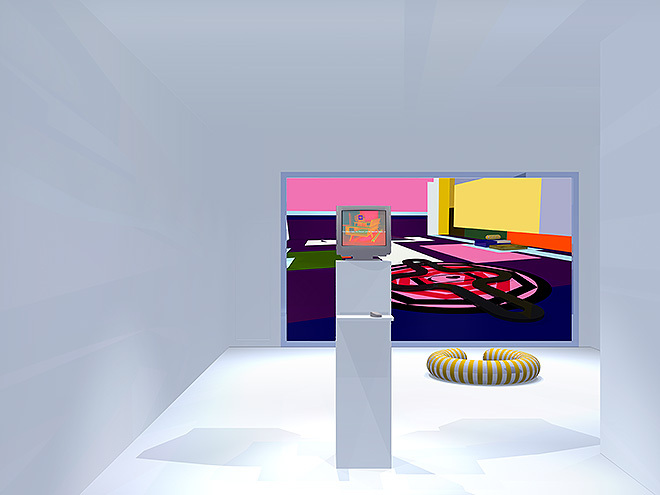 Proposed set-up for an exhibition in collaboration with Boy & Erik Stappaerts. 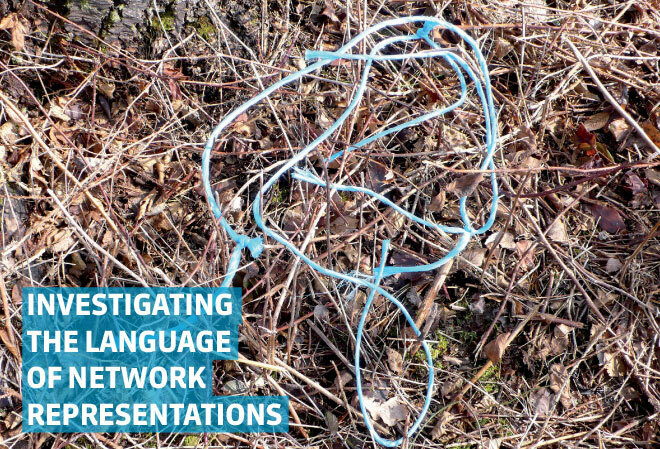 The first in a series of workshops in which we will investigate the language of network representations, will be held in October at the École de Recherche Graphique in Brussels. 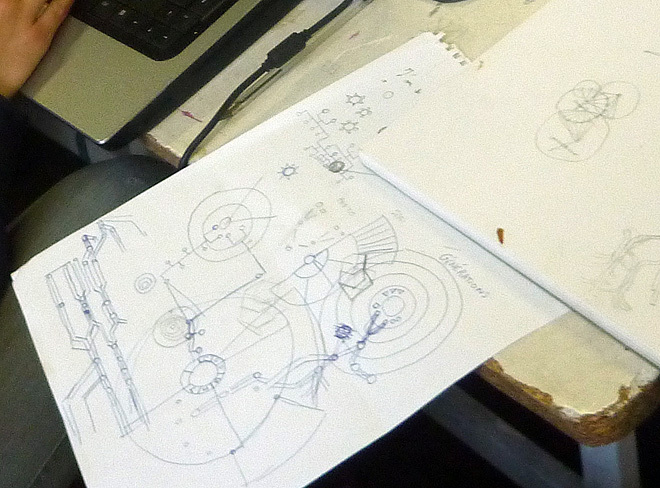 Most of the participants will be students of the “Master Atelier Pluridisciplinaire Pratiques Graphiques et Complexité Scientifique”, but there are some places available for external participants. Visit narranova.org/lonr for more information. 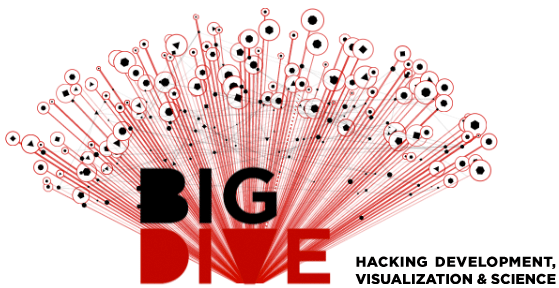 I will be teaching at BIG DIVE, a four-week training program to boost the technical skills needed to dive into the BIG DATA universe. This program will be held in October in Turin, Italy. We recently released a new major version of GLEAMviz. 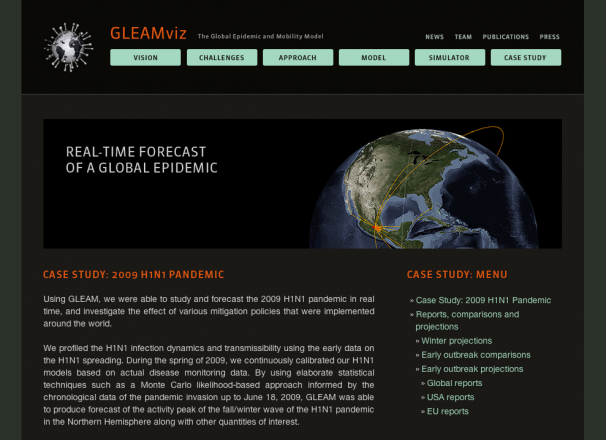 This application provides a user-friendly interface for using the GLEAM engine, a server-side simulator of the spreading of infectious diseases on a global scale. Version 3 of the GLEAMviz now provides the Simulation Builder, a new interface for setting up the simulations, and two new visualizations. The first new visualization is based on the SPaTo visualization developed by Christian Thiemann. 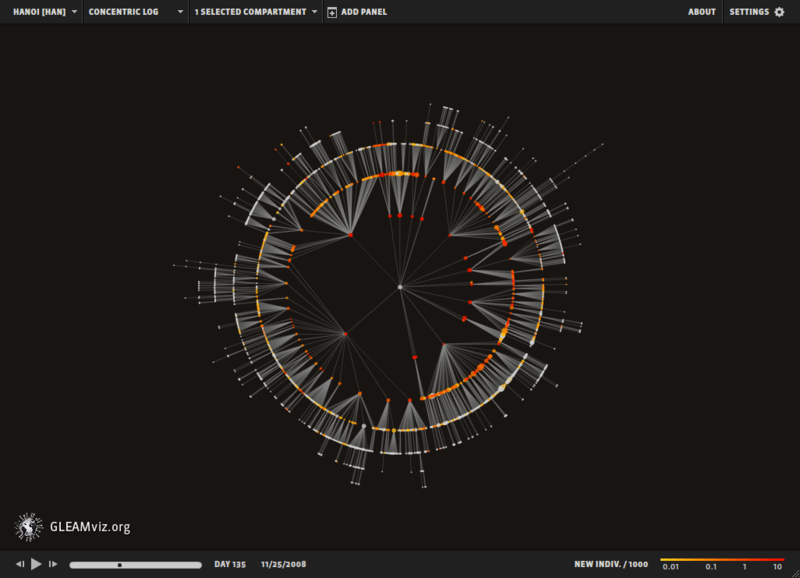 I adapted this visualization to fit the specifics of the infection spreading data generated by GLEAM, and reimplemented it for integration in GLEAMviz. The visualization shows the shortest-path tree among the cities with airports, either using a geographic layout or a concentric layout (with or without logarithmic scaling). Animated transitions are provided when the user changes the layout. 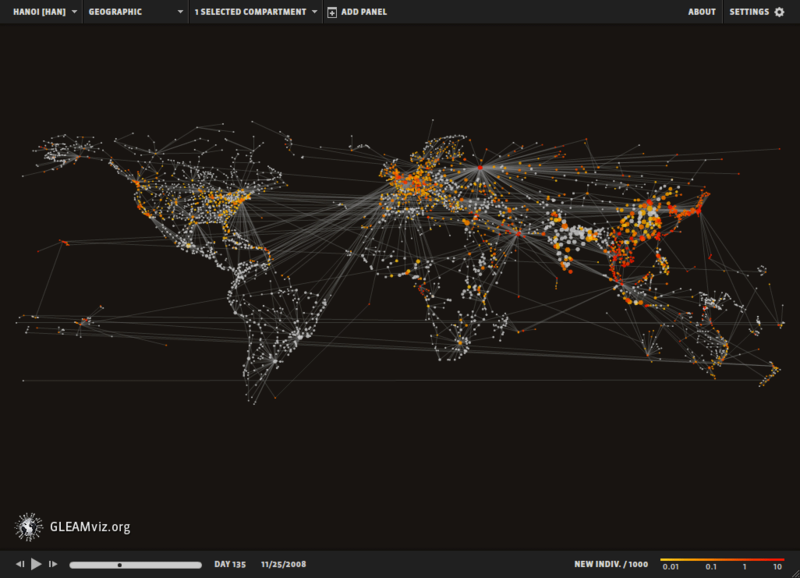 The second new visualization uses an interactive 3D representation of the world. The incidence spreading is shown as an animated texture, while the initial seedings are shown as 3D arcs. Accompanying this new release I also worked on a new gleamviz.org website and promotional material. 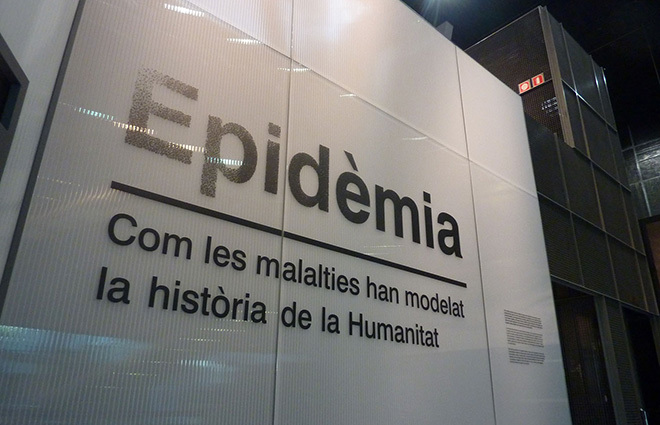 An updated version of our Epidemic Planet exhibit is currently shown in the Epidèmia show in CosmoCaixa, the awesome science museum in Barcelona. 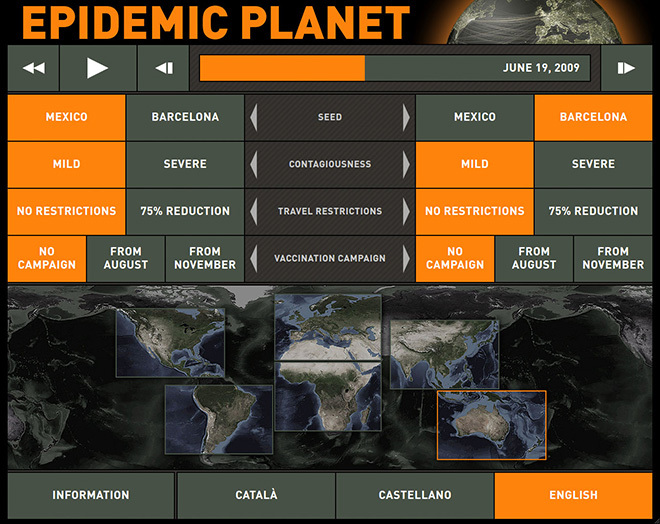 Sample of the side-by-side maps with the animated pandemic spread shown in the Epidemic Planet exhibit. The touch-screen interface of the Epidemic Planet exhibit. 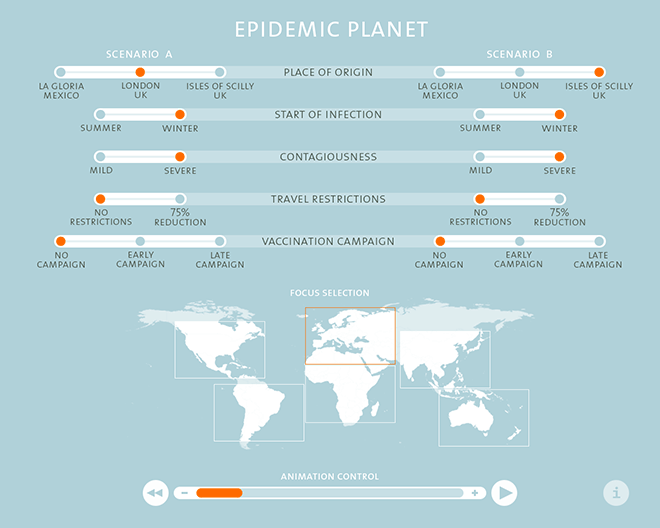 The visitors can use this interface to select the epidemic scenarios to compare. The entrance of the Epidèmia show. I just published a new project page that provides an overview of the context, objectives and results of the Practice Mapping project, which took part in the Interactivos? workshop in LABoral, Gijon, Spain, in April 2010. 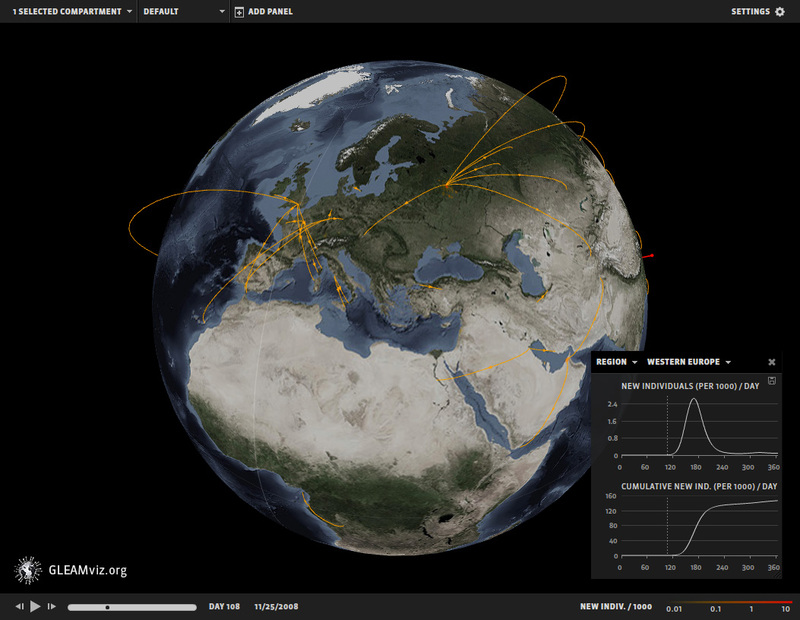 We recently released a publicly accessible version of the GLEaMviz Simulator. This client-server system allows its user to design, execute and visualize simulations of world-wide epidemic outbreaks. I have updated my related project page, providing a overview of this novel system’s functionality. You can, of course, also try it out yourself. Our SocioPatterns project is covered in an article on ScienceMAG. 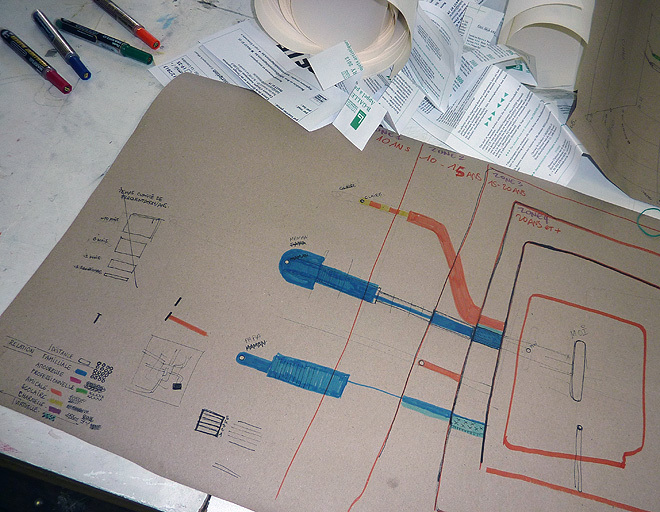 Marco Quaggiotto and myself have been preparing an artscience project called Practice Mapping. The first chapter of this project will take place during the Interactivos? 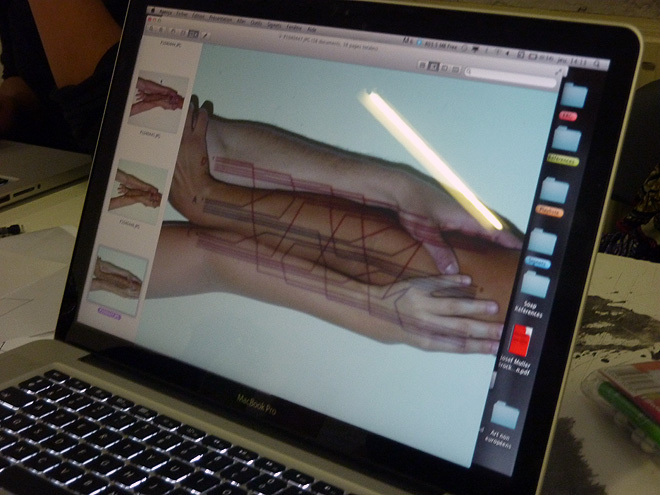 Process as Paradigm workshop co-organized by LABoral and Medialab-Prado. You can read more about this project on www.practicemapping.org. Let me kindly invite you to join us for the “Data driven dynamical networks” workshop from 26 September till 1 October, 2010, in Les Houches, France, right next to the Mont Blanc. 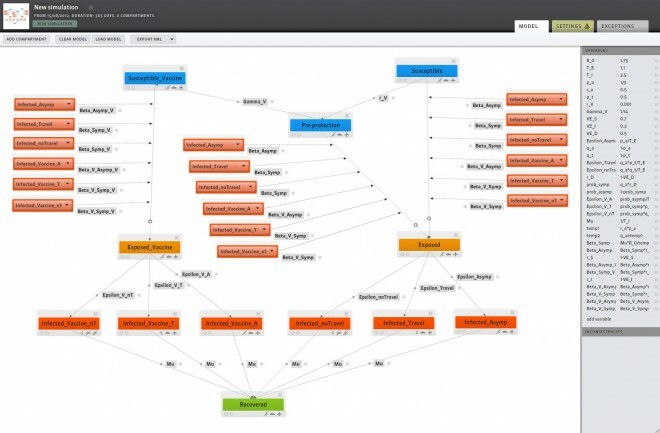 We will consider various aspects of dynamic networks, including the visualization of such networks. This week’s edition of Science magazine contains this article by John Bohannon about our SocioPatterns experiment at the Infectious exhibition in the Science Gallery in Dublin. This is another interview with yours truly recorded during the hectic opening of the Infectious exhibition in the Science Gallery in Dublin. 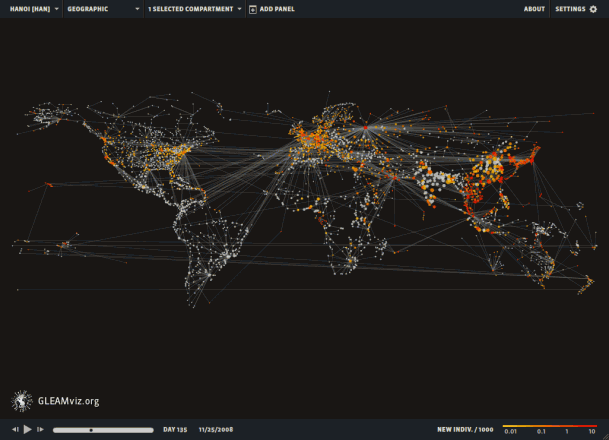 This interview is about the Epidemic Planet visualization application I developed in the context of the GLEaMviz project. Since my move to the ISI Foundation in Torino, I have been busy setting up a couple of exciting projects. One of these projects is SocioPatterns. It involves active RFID tags which we use to sense social interactions, and real-time visualizations that represent those interactions.